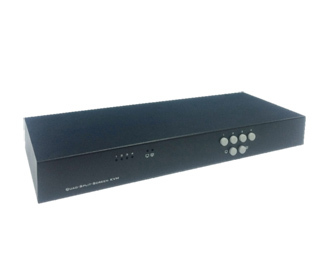 Quad Screen Splitter (QSS) represents the latest technology in KVM switching. QSS allows user to access and administer 4 computers on a single console. QSS-104 also shares a set of speakers and two separate USB peripherals among the four systems. This can be done either in concert with the keyboard and mouse.